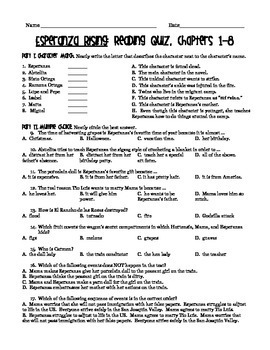 A 32-question reading quiz for chapters 1-8 of Esperanza Rising by Pam Munoz Ryan. Matching and multiple choice, with answer key included. Aligns with the rest of my Esperanza products, so please check them out, too!